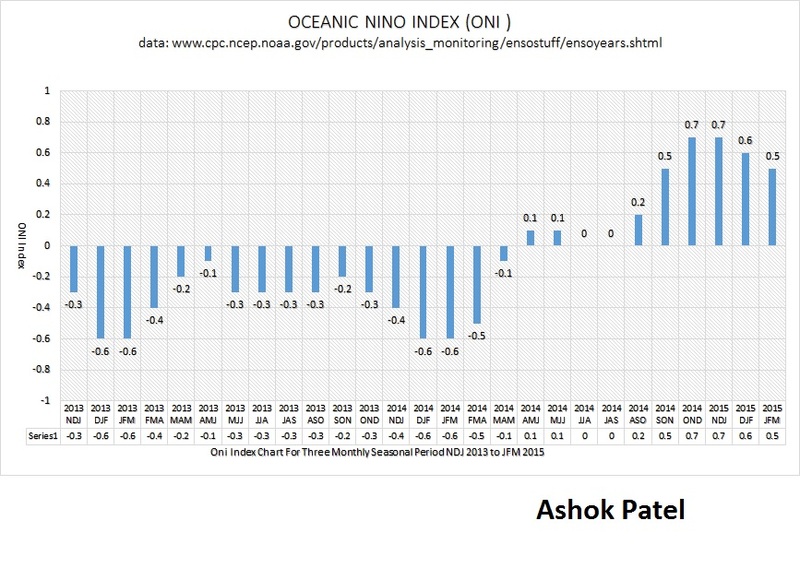 Full fledged EL Nino was confirmed only at the end of March 2015 when the five consecutive 3 monthly seasons had ONI index of 0.5 C or higher. Incidentally it has barely made it to a full fledged El nino. The March SST for Nino 3-4 region is 27.72 C. If however, this SST was a wee bit lower at 27.68 C ( a difference of 0.04 C only), the ONI Index for JFM would have been 0.4 C and the El Nino would have gone bust (the fifth consecutive 3 monthly season would not have qualified for El Nino). The above points to be kept in mind and since ONI is always reported with only one decimal, yes we have an El Nino !!! The first two months of 2015 had two more overlapping 3-month season NDJ & DJF with ONI index equal to or above +0.5ºC thresh hold. NDJ 2015 ONI=0.7ºC & DJF 2015 ONI= 0.6ºC. The recent 3- month season the ONI index for JFM =0.5ºC. This makes total of five consecutive overlapping 3-month seasons SON 2014, OND 2014, NDJ 2015, DJF 2015 & JFM 2015 with ONI index equal to or above +0.5ºC thresh hold till end of March 2015. The respective ONI Index are SON 2014= +0.5ºC and OND 2014 = +0.7ºC, NDJ 2015=0.7ºC, DJF 2015=0.6ºC & JFM 2015=0.5ºC. The atmospheric features justify the declaration of El nino because SOI was -10.7 as per BOM. The Southern Oscillation Index (SOI) has moved to negative zone from neutral zone during March 2015. 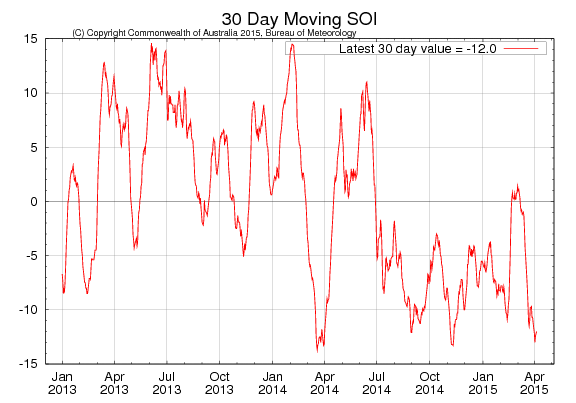 The latest 30-day SOI value from BOM-Australian Government for period ending 29 March is −10.71 which denotes negative zone. This El Nino though weak at present is the only El Nino to have been declared as full fledged El nino at the end of March in any year from 1950 on wards. I am regular reader of your forecast and other, apart from El-Nino, what are the other factor which are impact indian monsoon, what is status of those. I am farmer from Amreli District. What will be the efect of El-Nino on specific gujarat monsoon. Nobody knows for sure the effects of El Nino on Gujaat. IOD or Indian Ocean Dipole is another factor. There are many more factors affecting good monsoon. It is not the scope of this website. Please read on IMD LRF for 2015 which also discusses various factors. Thank you so much Ashokbhai for providing such a useful information. I would like to know about the monsoon this year? Will it be 100 % in the areas of Saurashtra? I don’t forecast for the full year, so sorry I cannot help you. IMD forecast is generalized at present and has no meaning since it is the average of whole country. Thank you so much and appreciate your quick response on my query. 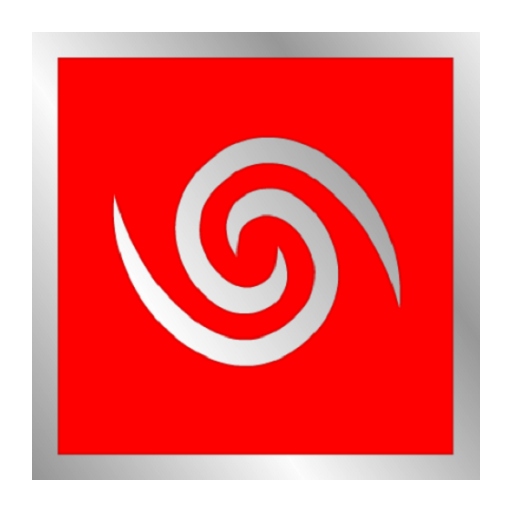 Look forward weather update on your website daily basis. I would like to know the full fledge El-Nino impact on Indian monsoon 2015. Would it be cause for any draught, flood, heavy rain or any changes effect on our Indian climate and environment for monsoon season 2015 ?? There is no clear cut relationship with El Nino & Indian Monsoon. Each El Nino by itself has different characteristic. I will put up my thoughts in near future.